Join us tonight (Sunday, March 12th) for an evening of readings from four fantastic poets at the beginning of their careers. 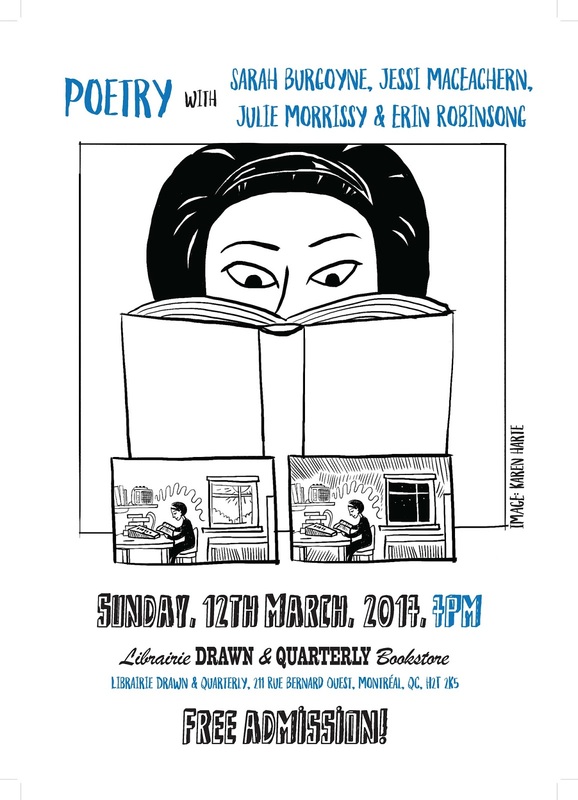 This event brings together Canadian poets, Sarah Burgoyne (Montréal), Jessi MacEachern (Montréal), Erin Robinsong (Toronto), and Irish poet, Julie Morrissy, reading on the same panel for the first time. Admission is free! Doors at 7pm.